The Chocolate Fetish has welcomed visitors and locals into its cozy shop on Haywood Street since 1986—long before downtown Asheville was a hub of culinary experimentation. Chocolatier and general manager Elizabeth Foley’s parents purchased The Chocolate Fetish in 2001, and Foley joined the family business five years later. 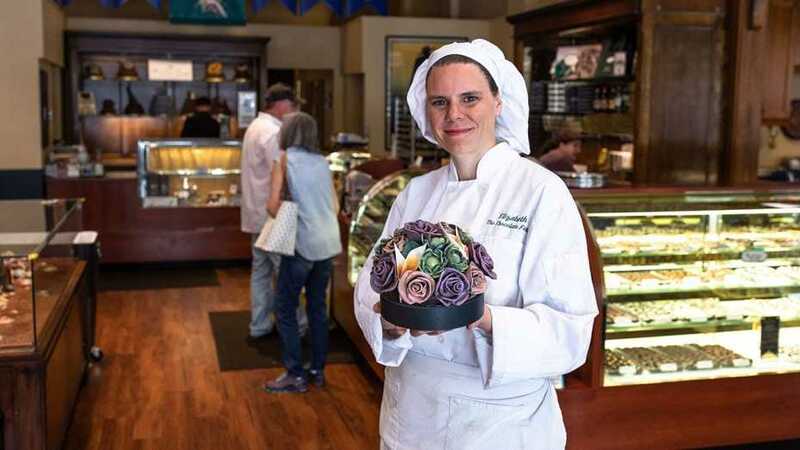 Today she crafts chocolate sculptures, including elaborate swans and peacocks, and oversees the production of the shop’s legendary hand-dipped truffles. 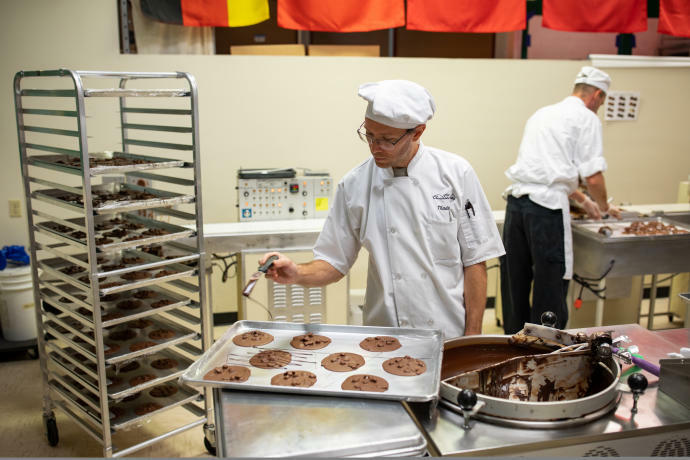 “My background is in art so I love when there are moments at work when I can combine my passion for art and my passion for chocolate,” she says. One of the shop’s most popular offerings is African Queen, a Belgian-style truffle that features a crispy hazelnut wafer topped with a caramel ganache, enrobed in dark chocolate, and finished with a leopard print pattern. It sits in a gleaming display case alongside the 36 truffles that are almost always in stock, as well as rotating seasonal flavors such as maple walnut caramel cups, gingerbread, and “Sweet n’ Stout” truffles. 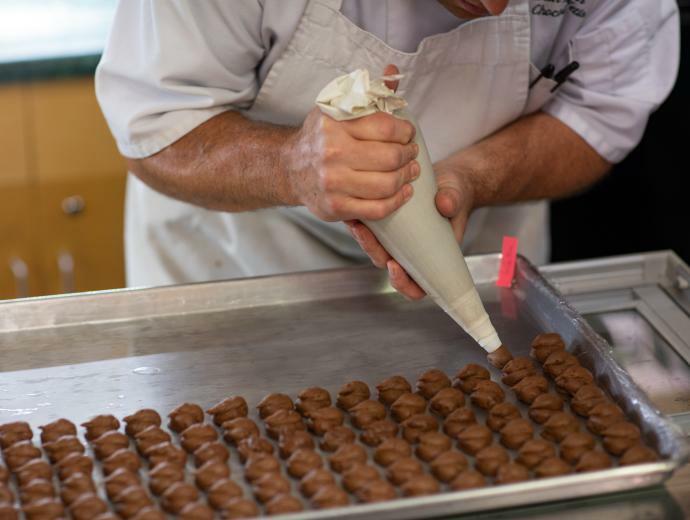 Each chocolate is individually hand-dipped—a rarity in modern chocolate production. “There's a lot of craft and skill and love that goes into each one,” she says. This approach reflects Foley’s dedication to her chocolate-based art, which can be seen at weddings and special events, as well as in the shop’s windows.